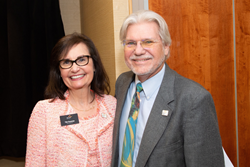 L-R: Tibisay (Tibi) Guzmán, new executive director, The Arc Westchester; Richard (Ric) P. Swierat, former executive director, The Arc Westchester. 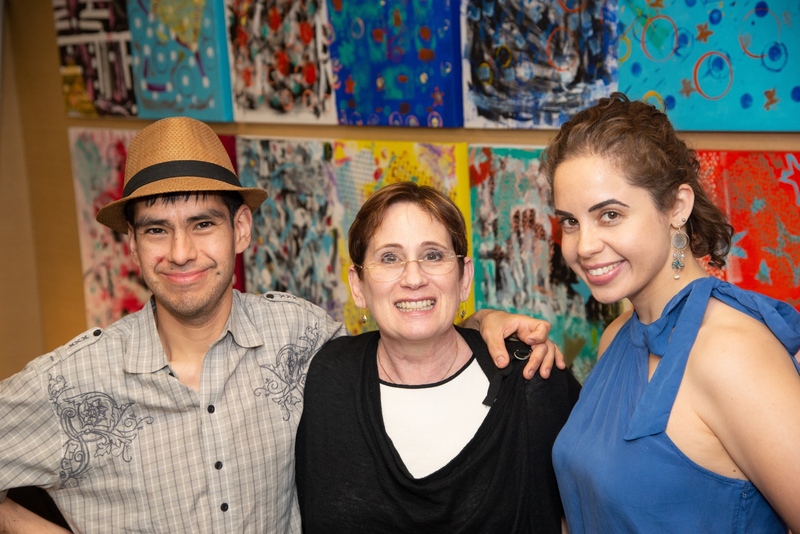 The Arc Westchester, the County’s largest agency supporting individuals with intellectual and developmental disabilities, including those on the autism spectrum, and their families, hosted its 69th Annual Membership Meeting at The Gleeson-Israel Gateway Center on June 12. More than 150 chapter members, invited guests, self-advocates, staff and board members were in attendance. The Annual Meeting formally acknowledged changes to the organization’s board of directors. Of note, Joseph Cassarini was voted in as new board president. Additionally, Patsy Ginese, Robert Hunt, Bernard Krooks and Rita Ross were recognized as retiring board members. 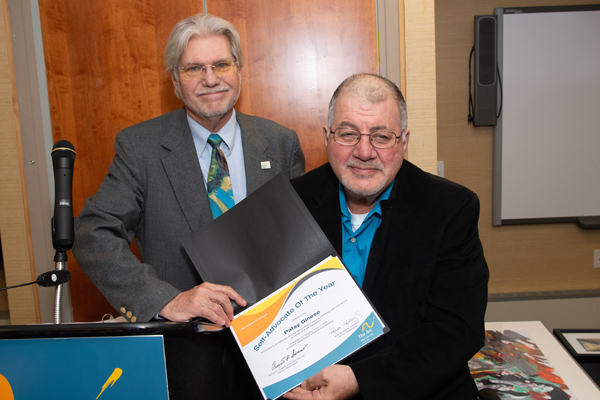 Ginese was also presented the Richard P. Swierat Self-Advocate of the Year Award. Following meeting adjournment, The Arc Westchester held a retirement celebration for Richard (Ric) P. Swierat, honoring his 35 years of exemplary service as the chapter’s executive director. 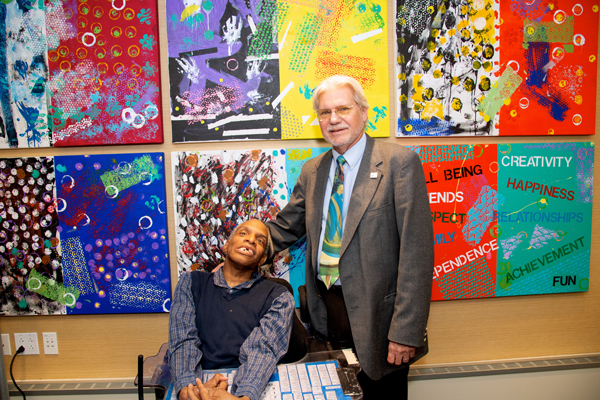 During the banquet reception, a wall mural was dedicated to the former executive director, who was a longtime champion for providing opportunities for individuals with intellectual and developmental disabilities to express themselves through art. The wall mural was developed in partnership with ARTSWestchester and local community artist Diane Cherr, who taught a seven-week class with contributing artists in The Arc Westchester’s various day programs. 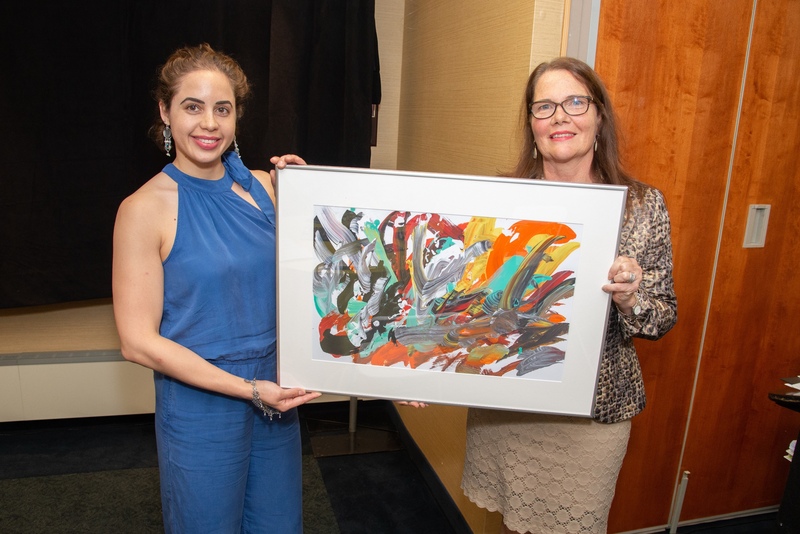 ARTSWestchester was also presented the gallery265 Partnership Award for its ongoing support of the artists-in-residence matching grant program, which provides community artists opportunities to engage in creative projects with people The Arc Westchester supports. At his celebration, Swierat received several proclamations from state and local government officials, including the County Executive’s Office and City of Yonkers, to name a few. Other special guests and dignitaries included Joan Volpe, director of Region 3 Operations for the Office for People With Developmental Disabilities (OPWDD), who extended congratulations and best wishes from Albany. The Arc Westchester, founded in 1949, is the largest agency in Westchester County supporting children, teens and adults with intellectual and developmental disabilities, including individuals on the autism spectrum, and their families. The organization’s 850 employees provide more than 2,000 individuals throughout the county with a broad range of innovative and effective programs and services designed to foster independence, productivity and participation in community life. 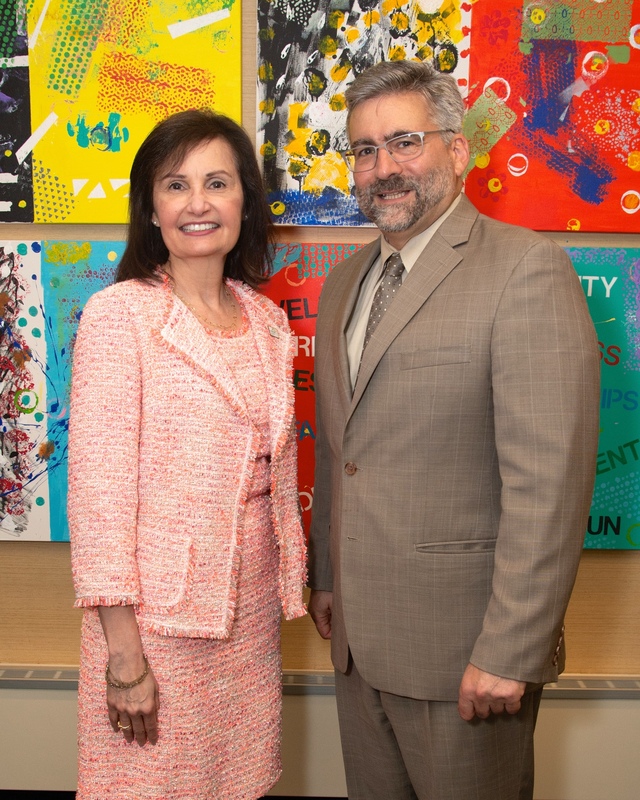 L-R: Tibisay (Tibi) Guzmán, new executive director, The Arc Westchester; Joseph Cassarini, president elect, board of directors, The Arc Westchester. L-R: Richard (Ric) P. Swierat, former executive director, The Arc Westchester; Patsy Ginese, former member, board of directors, The Arc Westchester. L-R: Jessy Mendez, program manager, Arts in Education, ARTSWestchester; Nancy Patota, executive director, The Arc Westchester Foundation. L-R: Victor Chung, artist; Diane Cherr, community artist; Jessy Mendez, program manager, Arts in Education, ARTSWestchester. L-R: Bob Smith, poet; Richard (Ric) P. Swierat, former executive director, The Arc Westchester.